Karina's Kreations: Stampin'Up Eastern Palace Card! I am loving the Eastern Palace Bundle! I wanted to play with the colors in the card stock pack and made this cute card. 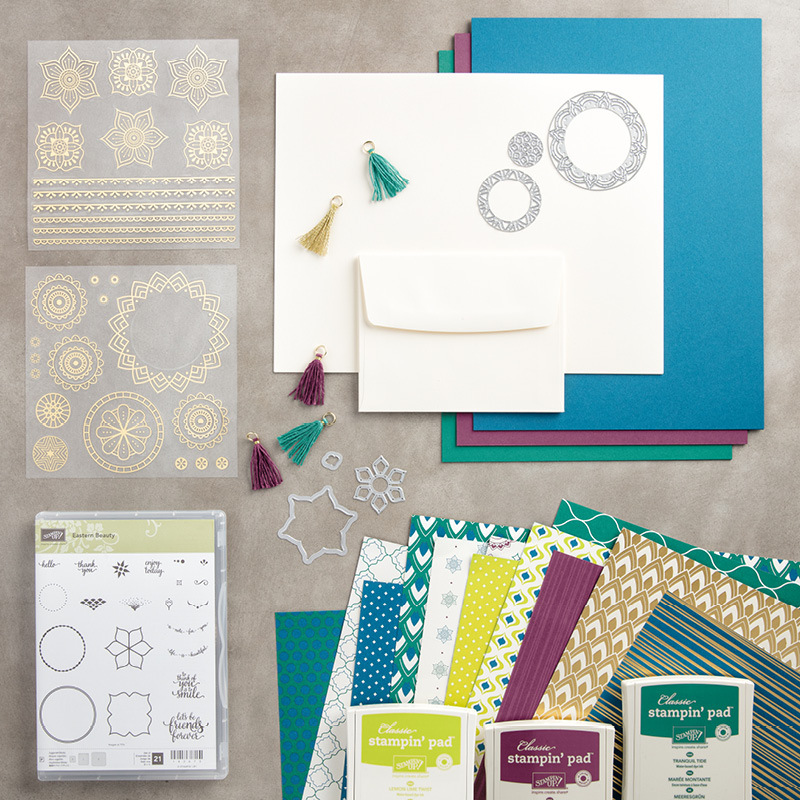 I bought the premier bundle #147207 for $134.75 which includes the stamp set, thinlits, designer series paper, card stock, mini tassels, gold stickers, 3 ink pads, very vanilla card stock and envelopes. This bundle of products are so fun to play with!!! To order your bundle click this link.